There’s a new and faster way for commuters to travel from the San Pedro waterfront to downtown Los Angeles and onto El Monte. 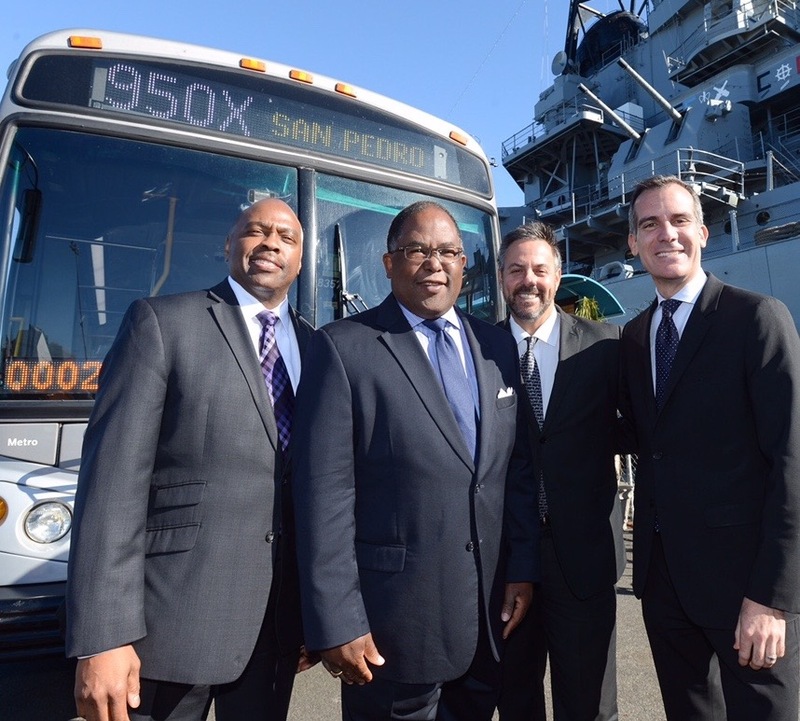 “Today, we unveil a new and improved Silver Line,” Metropolitan Transportation Authority board chairman and Los Angeles County Supervisor Mark Ridley-Thomas said during a press conference set against the backdrop of the historic battleship USS Iowa. 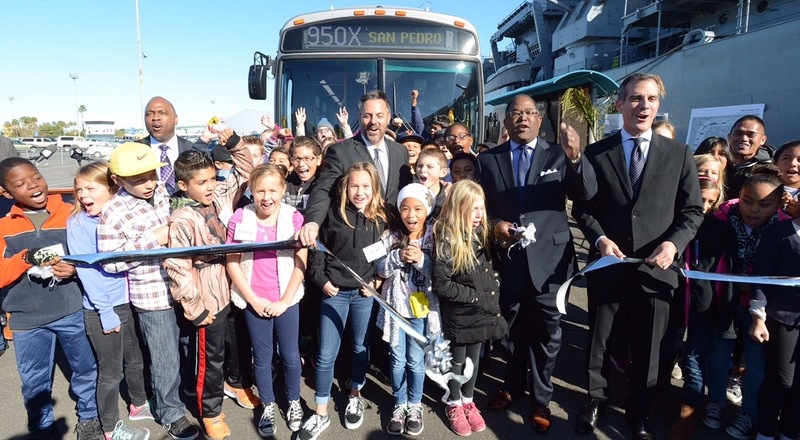 “With increased frequency and service now extending all the way into San Pedro, the Silver Line provides a premiere path for Angelenos to access all of the unique destinations in the South Bay and beyond that is easy, convenient and affordable,” he added. Launched in 2009, the Silver Line has an average of 16,000 boardings daily. Metro has extended its regular route and added express service, which can shorten rush hour commutes by up to 20 minutes. 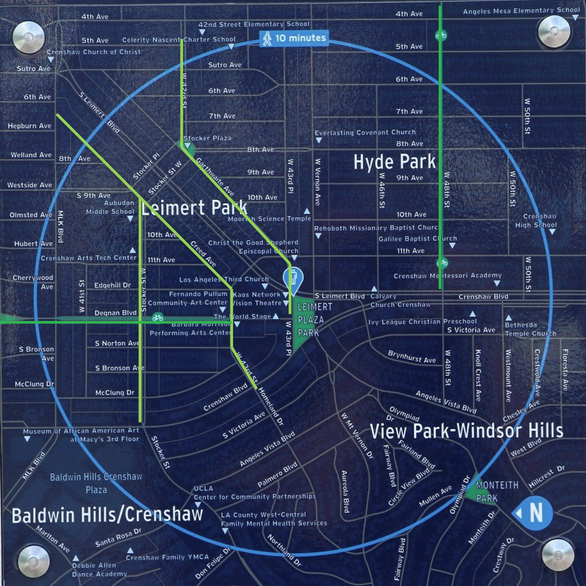 It will serve the following stops and stations before arriving in Downtown LA: San Pedro, Pacific Coast Highway Station, Carson Station, Figueroa/190th, Harbor Gateway Transit Center and Harbor Freeway Station. 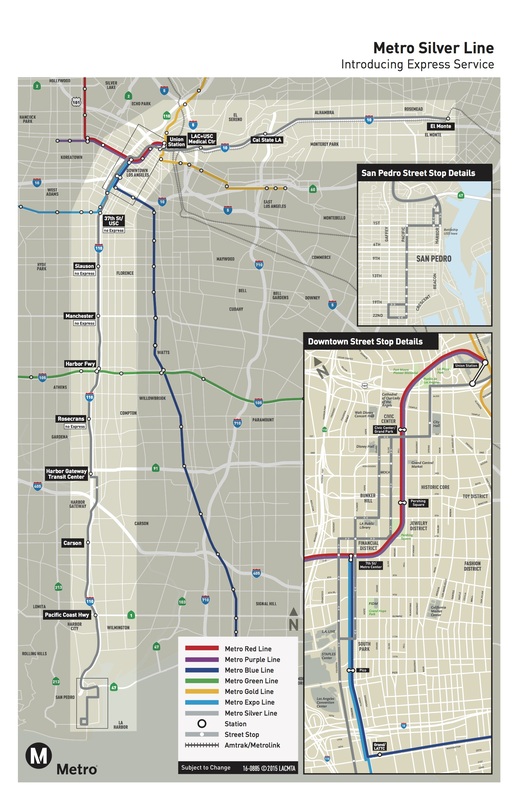 The Silver Line Express 950X will make limited stops along the I-110 Freeway between San Pedro and downtown Los Angeles during the weekday morning and evening rush hours, before proceeding to El Monte. The Silver Line 910 will run the same route daily, but with a few more stops. It will also run during off-peak hours, including evenings and weekends. Fare for both the Silver Line and Silver Line Express will remain the same at $2.50, and includes a free transfer with a TAP card. To celebrate the new service, the Pacific Battleship Center will offer discounted admission to the USS Iowa. “The Silver Line Express is a great example of how Metro is exploring new ways to make service better for our customers,” Metro CEO Phil Washington said. 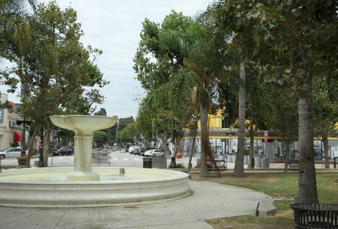 Built in the 1930s, Franklin D. Roosevelt Park in the Florence Firestone section of Los Angeles is one of the oldest parks in the county. 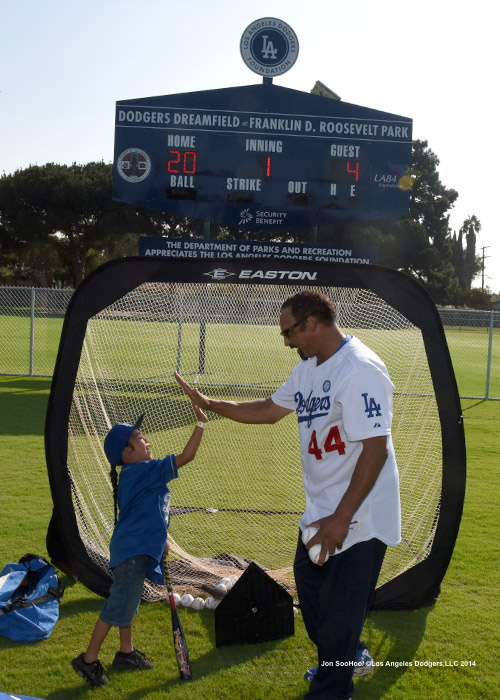 But two new, state of the art baseball fields now make it one of the best places for children and families to enjoy a game of ball. 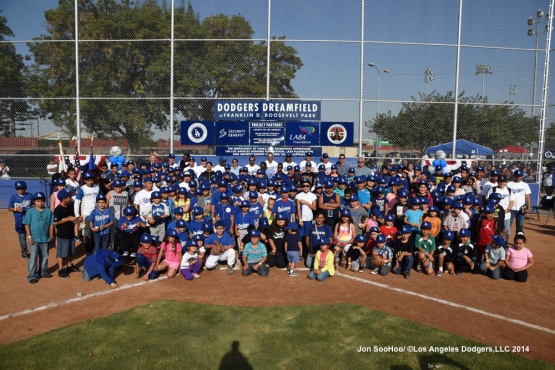 Los Angeles County Supervisor Mark Ridley-Thomas, the Los Angeles Dodgers Foundation, in partnership with the LA84 Foundation, the Los Angeles County Department of Parks and Recreation and Security Benefit Life Insurance recently dedicated Dodgers Dreamfields at Roosevelt Park. This marks the Second District’s 8th and 9th Deamfields, with baseball diamonds now at Campanella, Lennox, two in Athens, Mona, two at Jesse Owens, and at Ted Watkins Parks. The two Dreamfields at Franklin D. Roosevelt Park include newly installed side and outfield fencing, newly replaced and refurbished backstop mesh and posts, newly installed metal dugout roofs, new laser leveled infield surface including new infield mix and bases, new turf infield and watering system, new laser-leveled outfield surface including new sprinkler heads and new sod, new remote controlled solar powered scoreboard and field signage. With a new field in a well-lighted place, youngsters can practice their skills in a community setting, with coaches and parents all enjoying the amenities. 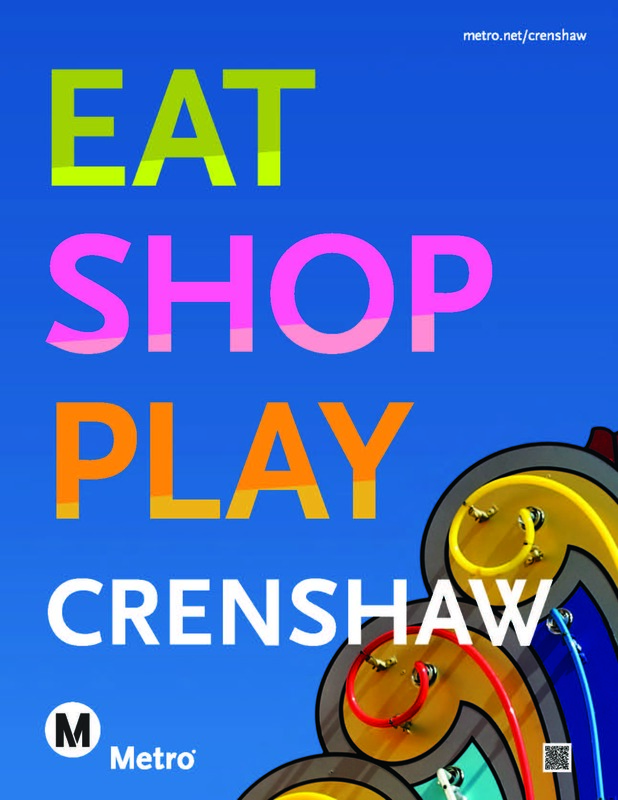 Metro and Los Angeles County Supervisor Mark Ridley-Thomas launched the Eat, Shop and Play Crenshaw campaign recently at the 9th annual Taste of Soul festival to support businesses impacted by the construction of the Crenshaw/LAX rail line. Approximately 40 businesses, ranging from hair salons to restaurants to furniture stores, participated by showing their goods at booths during the Taste of Soul festival. 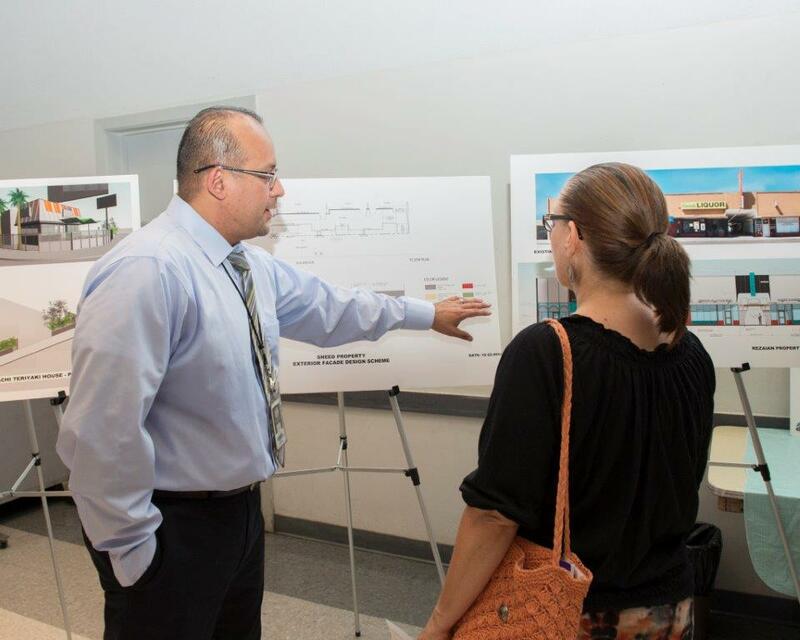 As part of the campaign, residents have been asked to “Take the Pledge” to support local Crenshaw area businesses, especially the businesses impacted by Crenshaw Line construction. By committing to “Take the Pledge,” consumers eat at local restaurants, shop at local stores, and play at local entertainment venues in the Crenshaw Corridor. 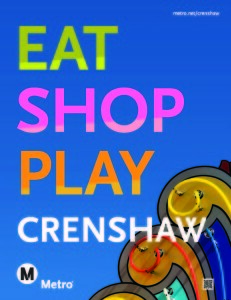 Consumers can also visit http://www.metro.net/service/discounts/crenshaw-lax/ to learn about featured participating Eat, Shop, Play Crenshaw businesses. 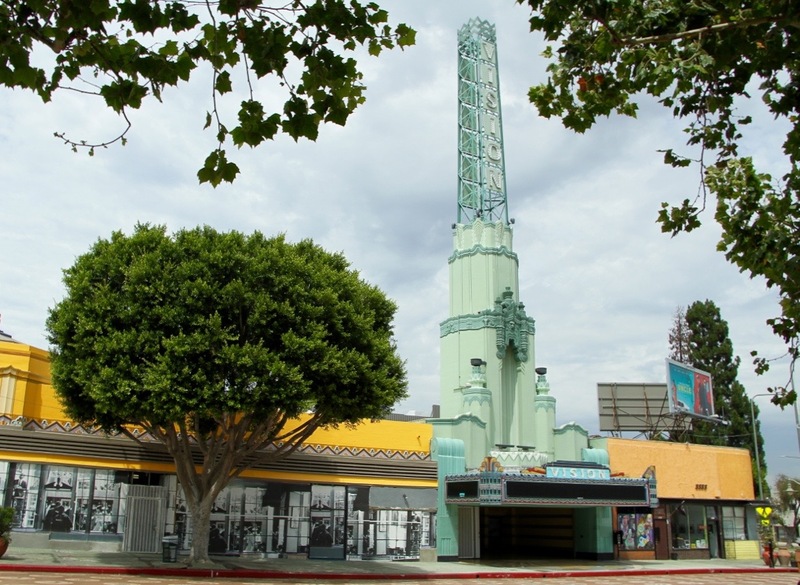 The Eat, Shop and Play Crenshaw campaign is just another program designed to help boost local businesses. 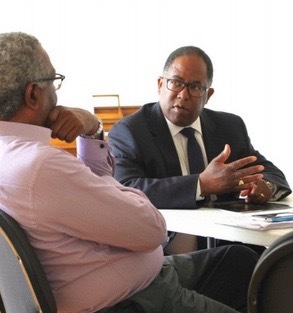 Recently, the 13-member Metro Board of Directors unanimously approved a groundbreaking program designed to help businesses along Crenshaw Boulevard struggling with economic losses due to construction of the Crenshaw/LAX rail line. 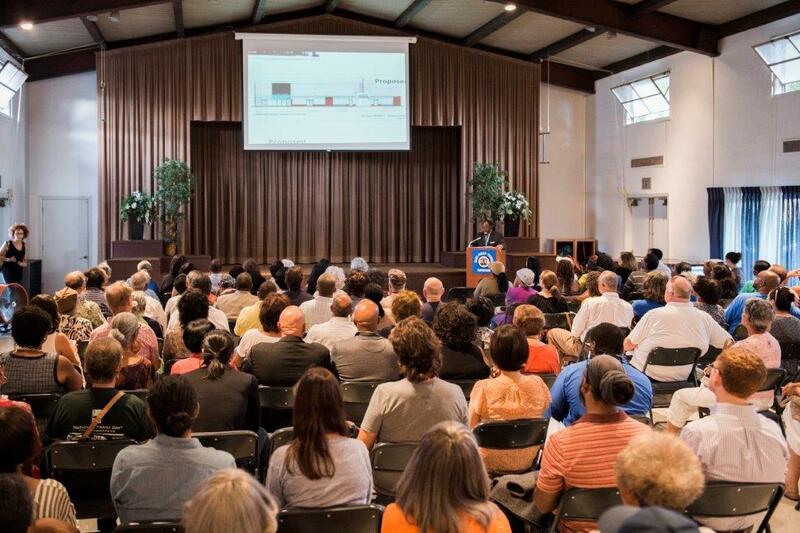 Under the newly established $10 million-business interruption fund, eligible small businesses along the corridor will be able to receive a maximum of $50,000 annually, not to exceed 60 percent of their business revenue loss. To qualify, owners must have no more than 25 employees, have been in operation for two years, be in good standing with local, state and federal tax requirements and be able to produce financial record demonstrating the loss of business revenue directly related to the construction are eligible for assistance.